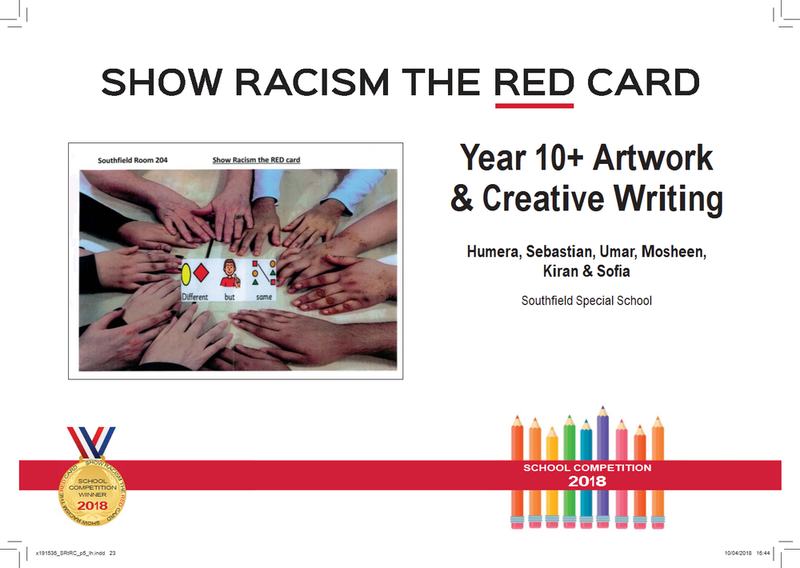 Show Racism the Red Card - School Competition 2018 - The Winners! 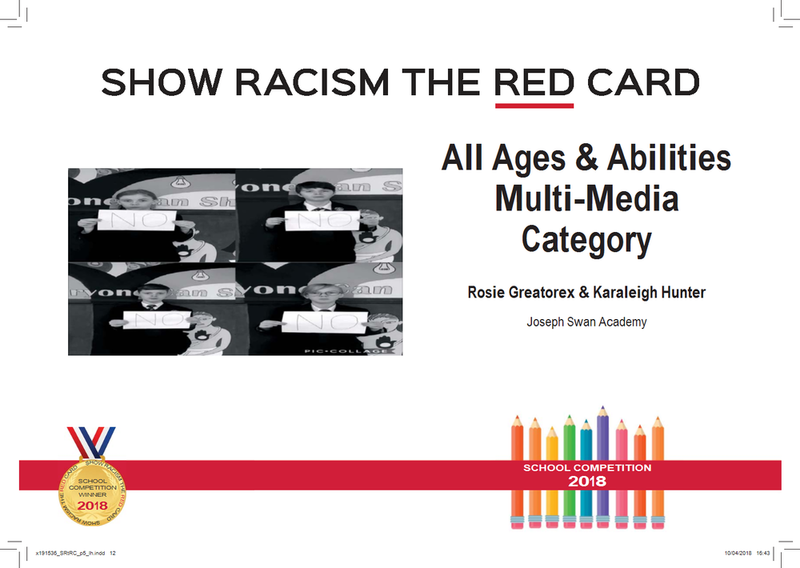 School Competition 2018 - The Winners! 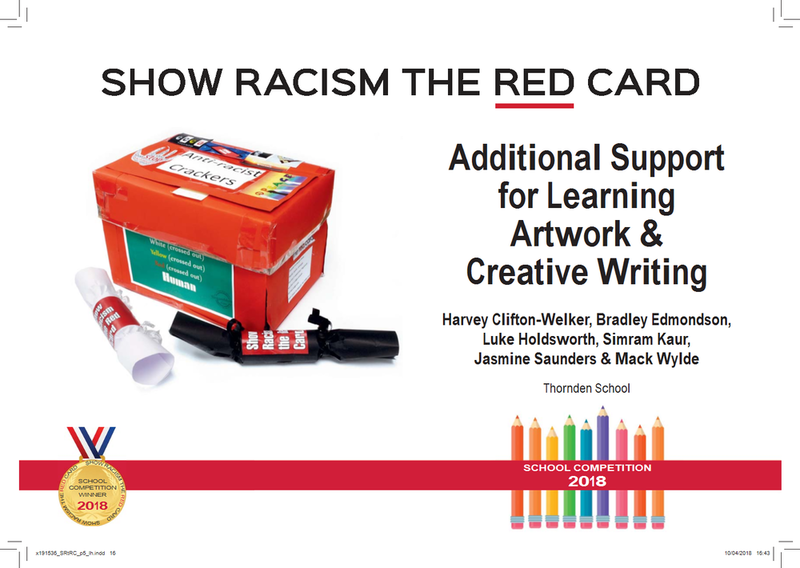 All competition winners will be invited to a special awards ceremony at the Bet365 Stadium, home of Stoke City FC with prizes presented by special guests, including current and former professional footballers. 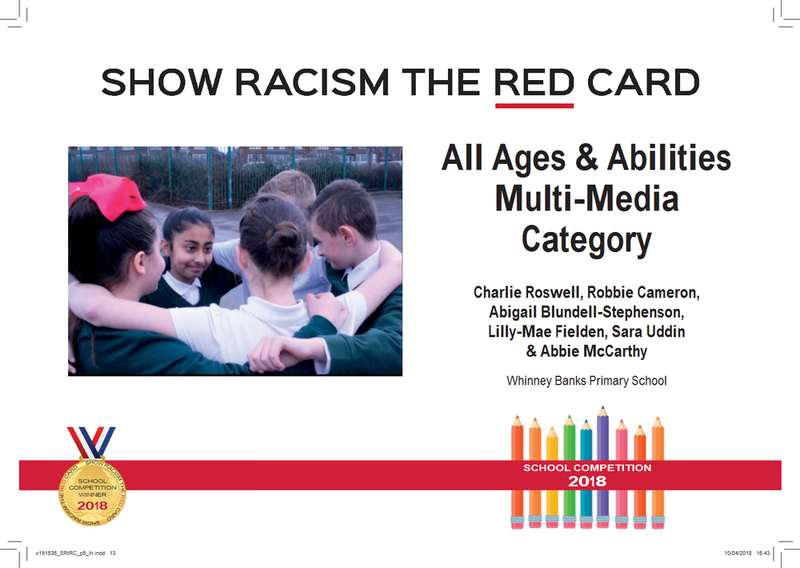 The competiton is sponsored annually by National Education Union, UNISON, Unite the Union, GMB, The Professional Footballers Association (PFA), The Football Association (FA), Usdaw, Potts Print (UK) and Durham County Council. 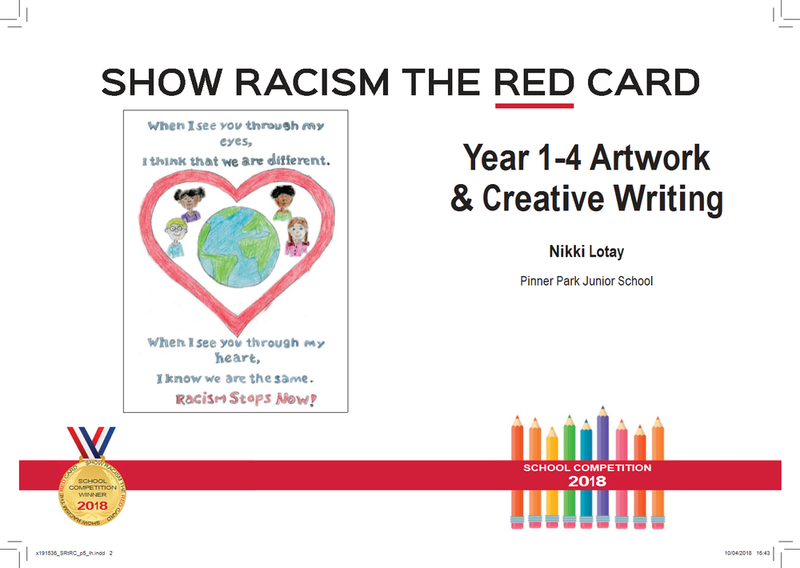 Throughout the years, young people have produced truly inspirational work for the competition, some of which has gone on to be incorporated into the campaign’s wider awareness-raising activities.